A few years back, Nintendo decided to skip the big E3 press event and instead just put up a video that explained their big announcements for the year. While this was disappointing for fans of E3 shows, this was the start of an awesome series of YouTube videos that pop up every few months (and even outside of E3) where they'll make some big announcements. This September's show had some cool games and surprises and even concluded with the most impressive look at Super Mario Odyssey yet. The Ultra editions of Pokémon Sun and Pokémon Moon kicked off the show with a look at the new features of the upcoming re-release and we even got a look at the upcoming Poké ball themed 2DS. After that, we saw a bit of the 3DS release of Mario and Luigi: Superstar Saga and some of the new elements to the classic Game Boy Advance RPG. Then we saw a brand new Kirby game, Kirby Battle Royale, and saw a poll to vote for Kirby's best copy ability in celebration of the game's 25 anniversary. Some of the bigger 3DS announcements came in the chunk dedicated to Minecraft: Nintendo 3DS Edition. This crafting game looks like it'll fit right at home on the 3DS, though I'll probably remain partial to the Nintendo Switch version of the game. A game that I wish would come to the Switch, Mario Party The Top 100 takes the best mini games from all of the main Mario Party games and puts them in this awesome package to really appreciate it all. Metroid Samus Returns got a quick look since the game's reveal at the end of Nintendo's E3 video and also releases this week. A lengthy look at Xenoblade Chronicles 2 for the Switch was followed up by some news about an update for Splatoon 2 -- the original game's Kelp Dome map will return in the sequel. We also got a peek at some additions for Snipperclips and a 3rd person shooter called Morphie's Law which has bullets not hurting other players but either enlarging or shrinking the game's target. A pair of Bethesda games surprised players with their Switch announcement and Zelda had a quick showcase of some upcoming Amiibos. 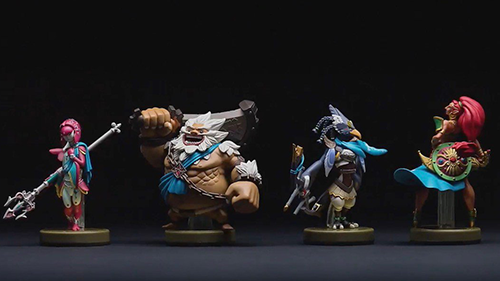 The Amiibos compatible with the upcoming Zelda DLC. The biggest piece of new information to come out of this Nintendo Direct was undoubtedly the new content in Super Mario Odyssey. Showing off a bunch of new worlds, new bosses, and crazy costumes accompanied a wide range of various gameplay mechanics. 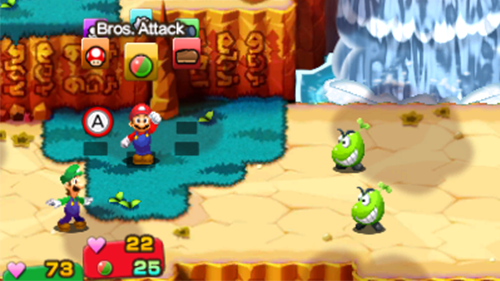 Capturing more enemies with Cappy, showing a bunch of different costumes for Mario to wear, and even a photo mode in the new game with a pretty flexible camera. Really, after seeing all of this I can't wait until October 27th for the game's release. Are you excited for any of the games shown off? What are your thoughts on Super Mario Odyssey? Share below!